﻿ Villa del Vincejos Hotel, Palawan | FROM $44 - SAVE ON AGODA! "Good location, clean bed and nice owner." Have a question for Villa del Vincejos Hotel? 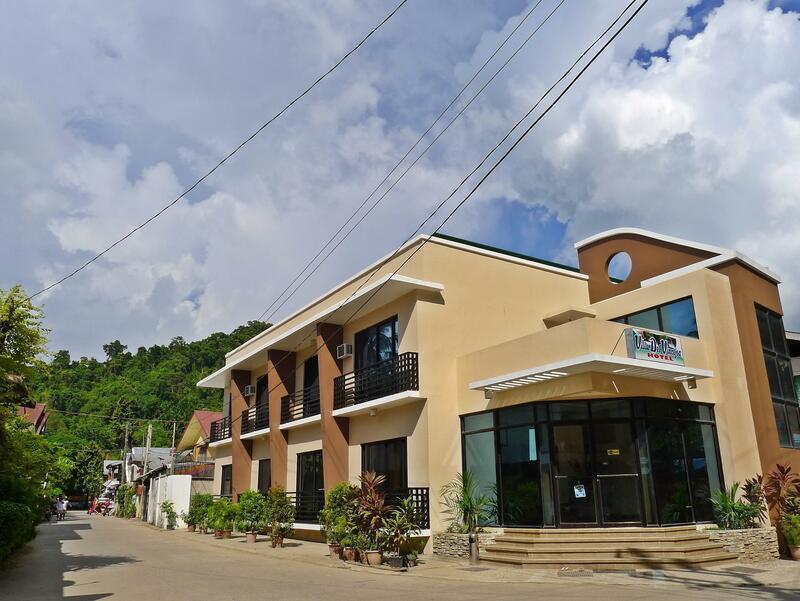 Built in 2012, Villa del Vincejos Hotel is a distinct addition to Palawan and a smart choice for travelers. Set 0.1 km from the excitement of the city, this 2-star hotel commands an excellent location and provides access to the city's biggest attractions. With its convenient location, the hotel offers easy access to the city's must-see destinations. Offering hotel guests superior services and a broad range of amenities, Villa del Vincejos Hotel is committed to ensuring that your stay is as comfortable as possible. Top features of the hotel include free Wi-Fi in all rooms, 24-hour front desk, luggage storage, Wi-Fi in public areas, car park. 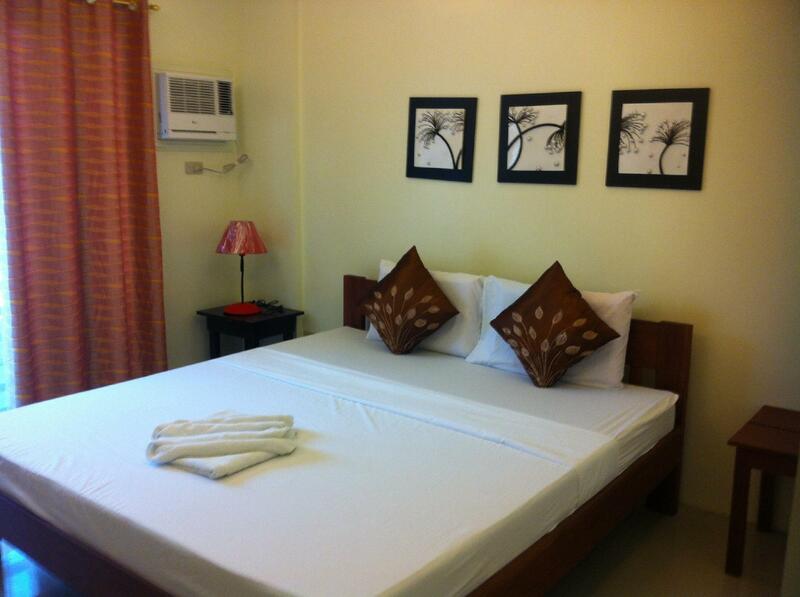 The ambiance of Villa del Vincejos Hotel is reflected in every guestroom. television LCD/plasma screen, air conditioning, desk, balcony/terrace, satellite/cable TV are just some of the facilities that can be found throughout the property. Besides, the hotel's host of recreational offerings ensures you have plenty to do during your stay. Superb facilities and an excellent location make the Villa del Vincejos Hotel the perfect base from which to enjoy your stay in Palawan. The room overall was very low maintenance the washroom was horrific and there were bugs. Would not recommend or book again. ok.hotel, friendly staff. basic room but centrally located. walking distance to the beach and restaurants. We had a room off the back- it was quiet and shaded. There was little housekeeping, and we had to ask for toilet paper and other supplies. Wifi was non-existant, though it was only marginally better in the rest of el nido. This was by far our most expensive stay in Ph, but underwhelming overall. We would have changed accommodations, but the cancelation policy is awful. The positive thing is that hotel is close to downtown but if you need wifi then it is not place for you stay. There is no wifi connection in the hotel as it is written on the webpage. They have only small router at the lounge area but it is for 1-2 person to connect and mostly doesnt work. Only location was satisfactory. Clean rooms, though we had one cockroach in our room. Very friendly staff but WIFI was almost non-excisting. I spent 3nights at this place. Price was higher because of peak season and all other hotels were fully booked. Good location, clean bed and nice owner. Standart if you want just place for sleep. Room had ants crawing all over the walls, TV did not work, "hot" shower had a faulty shower head and alternated between scorching hot to icy cold, breakfast ends ridiculously early at 9am (which I was not informed of so I missed the breakfast which lowered the value of this room to me even more). TOTALLY OVERPRICED FOR WHAT YOU GET. 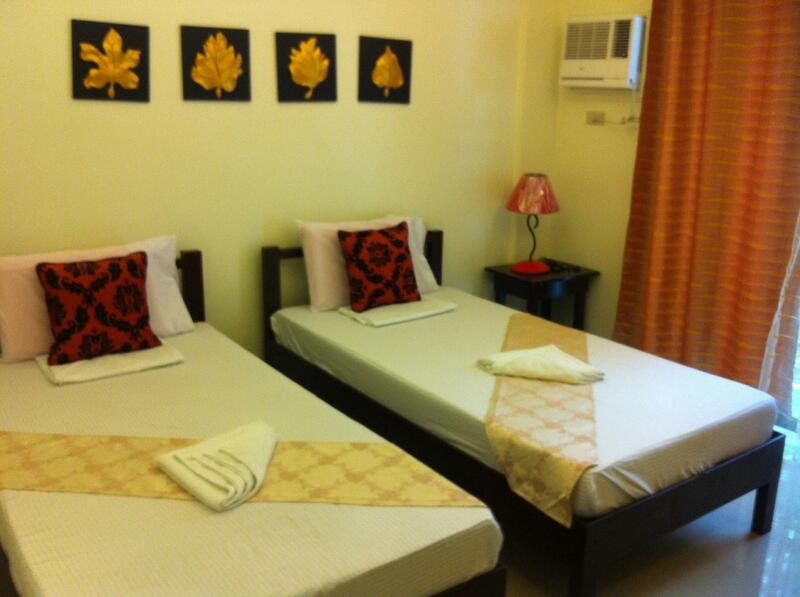 You can literally walk next door to a guesthouse and get the same room for less than half the price. Tiene airé acondicionado, ubicación y habitación espaciosa. Buen lugar recomendable, sólo le faltaría un frigobar y la limpieza de la habitación.